Google knows quite a lot about you based on your search history. That’s kind of the point of search, to learn about people and serve them relevant advertising. But fortunately, the company’s user-facing tools allow you to remove that knowledge at your leisure. Open your browser and head to myactivity.google.com. Click the menu in the upper left-hand corner of the page, and choose “Activity Controls” from the list. Under Web & App Activity, click “Manage Activity.” Click on the three-dots menu next to any individual session to delete those items, or the three-dots menu at the top to delete your entire history. Your history with Google Search, along with all the other Google services you use like Android, the Chrome Browser, and YouTube, is stored in your My Activity page. Go to myactivity.google.com and you can see more or less everything you’ve done that Google knows about. Don’t worry, you’re the only user who has access to this stuff—Google anonymizes the data as it uses it to serve ads and analyze trends. 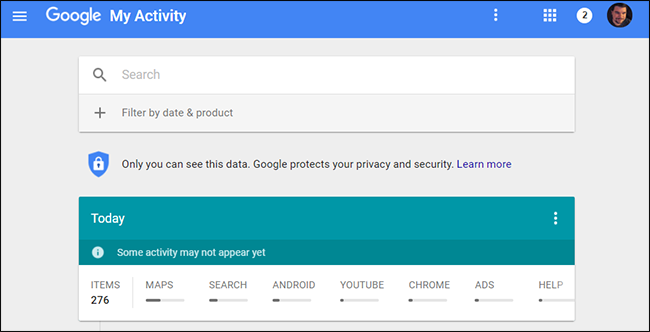 To clear your history, click on the hamburger menu on the upper left-hand side of the myactivity.google.com page (that’s the three horizontal bars next to “Google”), then click “Activity Controls” in the side menu. Under the first item, Web & App Activity, click “Manage Activity.” You’ll see all of the items you searched for, and if you use Android and Chrome with the account you’re signed into, all of the apps and websites you visited as well. They’re separated into “sessions,” grouped bits of activity based on time. It’s possible to delete these individually with the three-dot menus in the upper-right corner of each. From this page, you can delete all of your activity for all monitored searches, websites, and Android apps. Under “Delete by date,” select “All time.” You can leave the default “All products” selected, or choose only “Search” to delete just your Google search history. Note that the itemized list isn’t exactly straightforward. For example, if you performed a Google Search for “Couches” in the browser, but then clicked on “Images” for image-based results, you’ve left separate histories in both the standard Google Search and Google Image Search. Some of Google’s services also don’t appear here, like YouTube (see below). The date settings mentioned earlier can be used here, allowing users to select one or all services and delete by “Today,” “Yesterday,” “Last 7 days,” “Last 30 days,” “All time,” or a custom range of dates selected with the calendar tool. When you’ve selected your date range and service, click “Delete” to clear out that particular history. 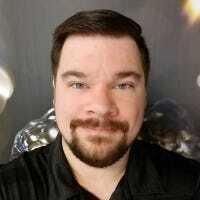 If there’s just one thing you want to delete, leaving the rest of your Google history intact, head back to the Google My Activity page, myactivity.google.com. If you know the precise date and time of the search or activity you want to clear, you can find it on the reverse timeline on this page. You may need to click the “X items” under a timed session to expand the view. The timeline scrolls infinitely; you can just keep going to the bottom of the page for more results. If you don’t know the date of the item you want to get rid of, search for it using field at the top of the page. You can further narrow the results with the “Filter by date & product” option. Here you can select specific Google services and a date range to find whatever activity you want to delete. Once again, when you find it click the three-dot menu and then delete. To get to the deletion tools for these specific services, click the side-menu on myactivity.google.com again, then click “Activity Controls.” You’ll be taken back to the Google-wide management page, with a new card-style section for each service. The history for each of them can be turned on or off by clicking the blue toggle underneath the header image. Click “Manage” and you’ll be taken to another page…which is unfortunately a different page for each service. For Location History, you’re taken to the page below. Click the settings icon (the gear logo) in the bottom-right corner, then “Delete all Location History.” You can also pause your location history with this menu. For the rest of the services on this list, the user interface is the same. Click “manage,” then on the next page click the three-dot menu in the upper right-hand corner. Click “Delete all” or “Delete activity by” depending on the service, which presents you with the same date range as the multi-service tool above. Remember that Google uses tracking on Search and all its other services to inform your personal search results, among other things. So if you’re systematically clearing out all of the historical data from your Google account. Don’t be surprised if your search results change significantly for the affected account.